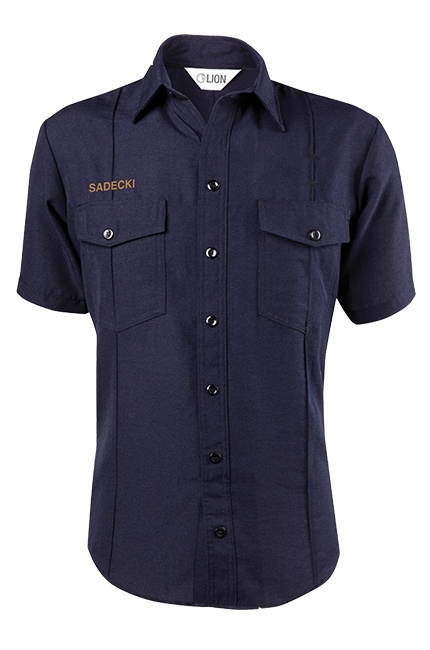 The Battalion professional uniform shirt provides a snappy look year at all times and is appropriate for all situations. Durable and Safe: Made from 4.5 oz/yd2 DuPont™ Nomex® IIIA plain weave certified to meet NFPA 1975. Professional Style: Features dress front placket with decorative buttons. Always Appropriate: Sew-in seams keep you looking sharp all day long. Customized to Your Needs: Optional epaulets and personalization. Available in different sleeve lengths. 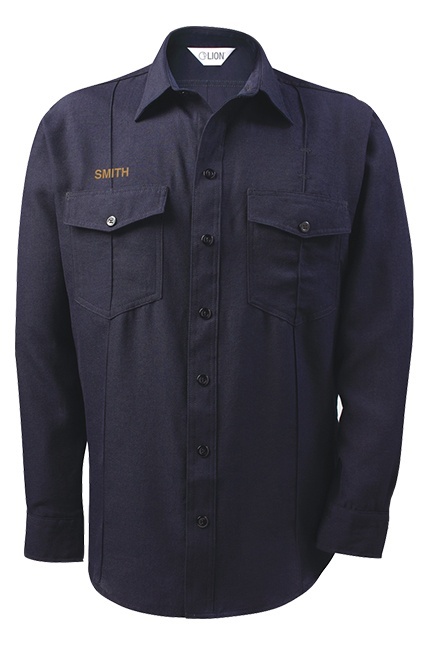 Easy Wear: Designed with hidden snap front closure for faster donning and doffing. Always Creased and Professional: Five sewn-in military creases. Convenient Details: Left pocket flap has slot for pencil/pen. Smart Additions: Interior sling badge holder reinforced from shoulder seam to reduce badge sag and to prevent ripping.